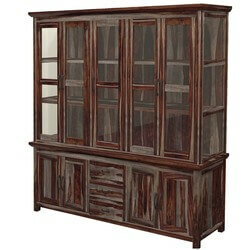 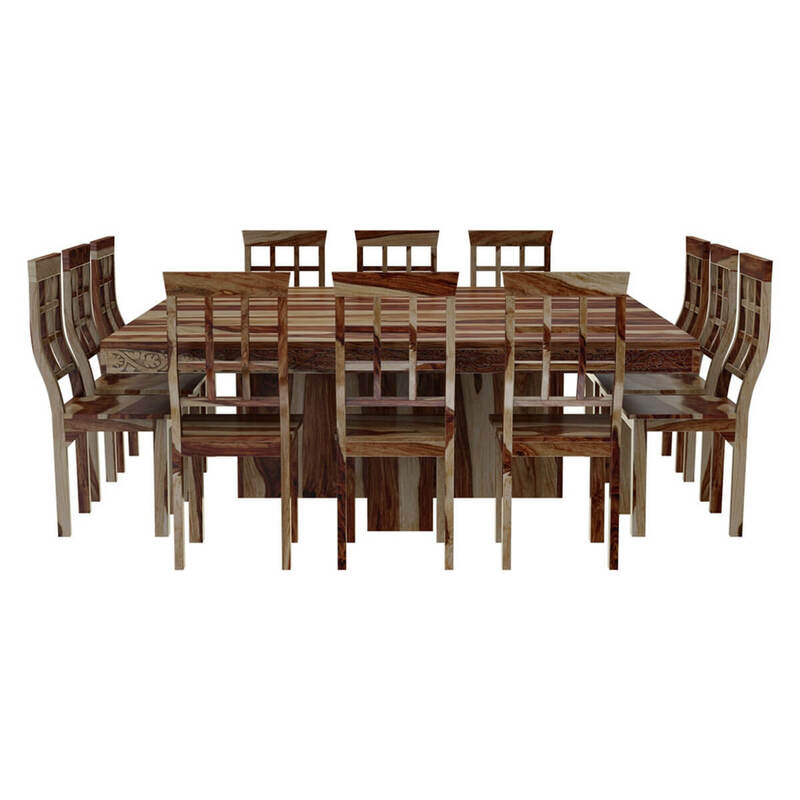 You'll have plenty of room with this contemporary large square dining table and chair set. 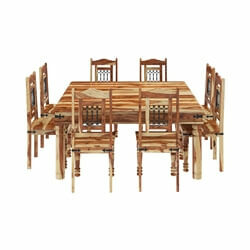 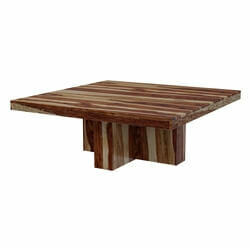 The stunning pedestal dining table is set on a square block base, giving it a fresh, modern feel. 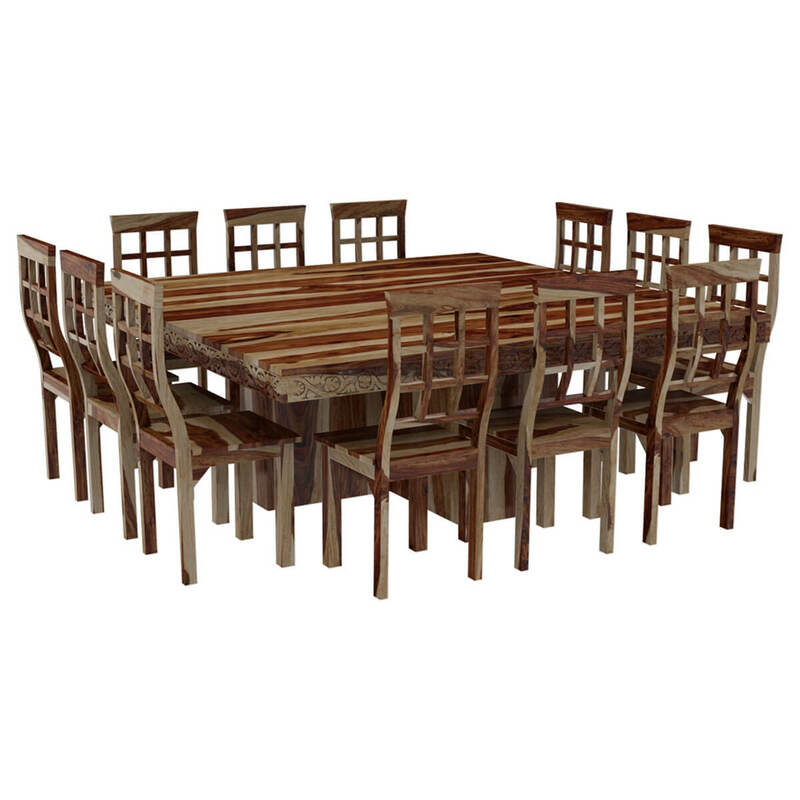 The table top extends over the base providing lots of leg room. 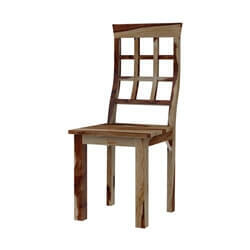 The waffle back chairs have a small curve creating an ergonomic design. 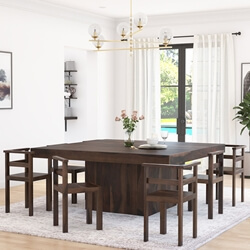 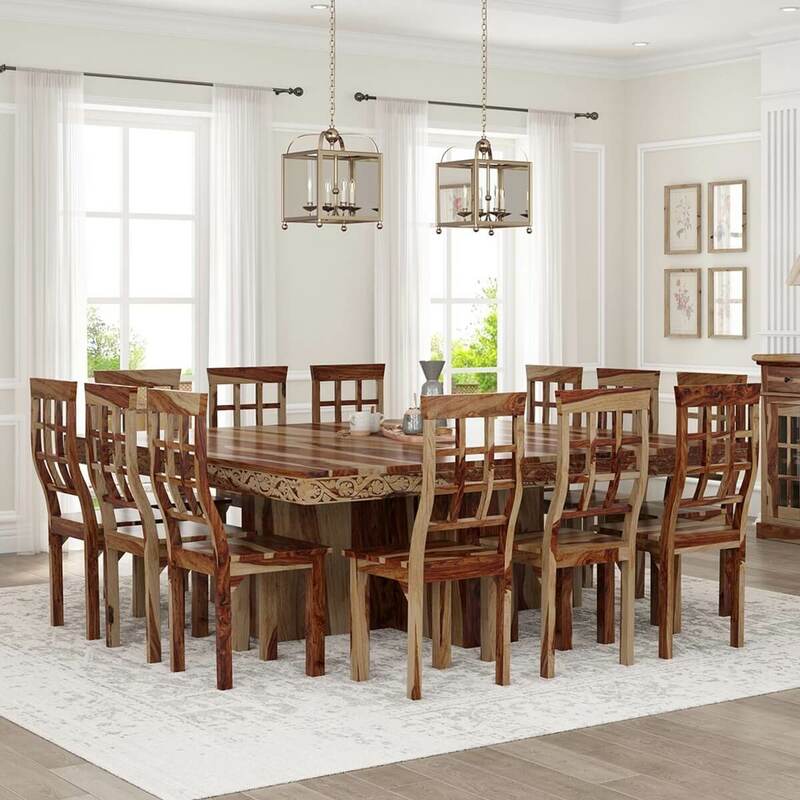 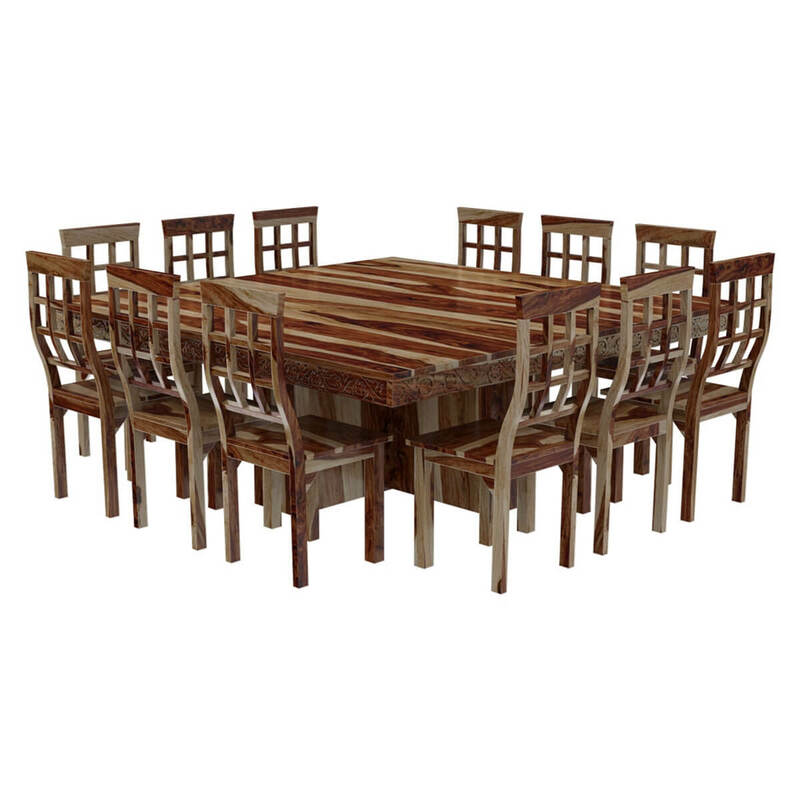 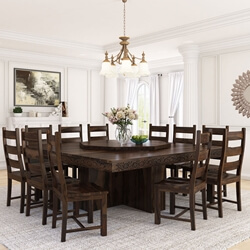 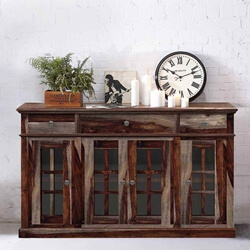 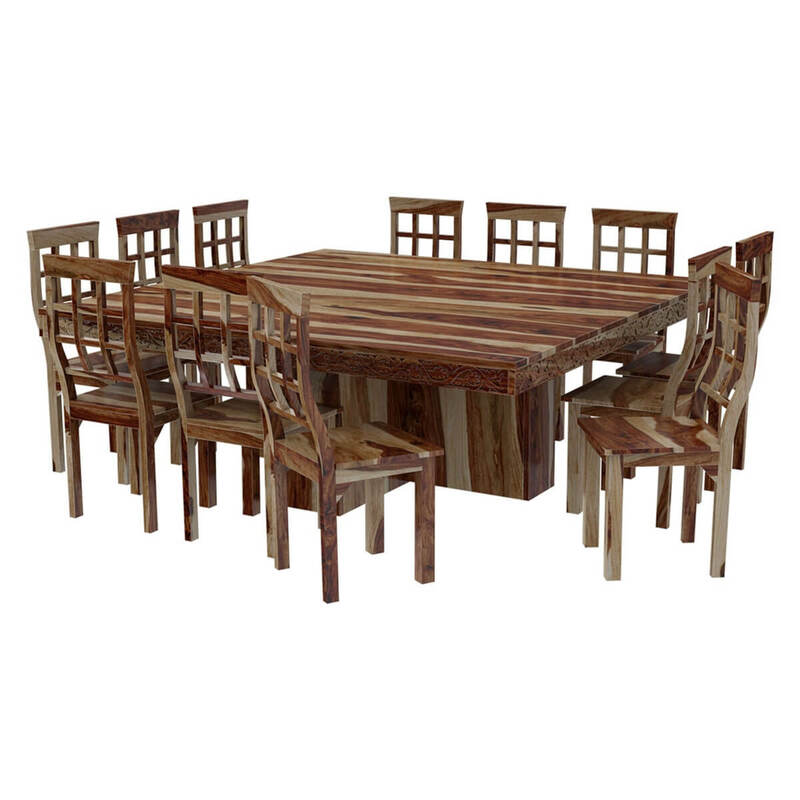 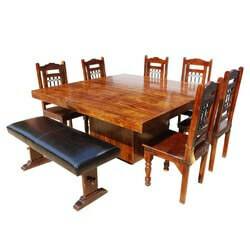 The dining set is handcrafted from Solid Wood, a top quality hardwood that's a favorite because of its strength, durability, and unique dark/light wood grain pattern.